We now offer x-ray services at an affordable cost. This service is possible through collaboration with OB services. Accepting most insurances call today for more info. Community Survey on substance abuse for Washington county. We are open from 8:00 a.m. to 1:00p.m. 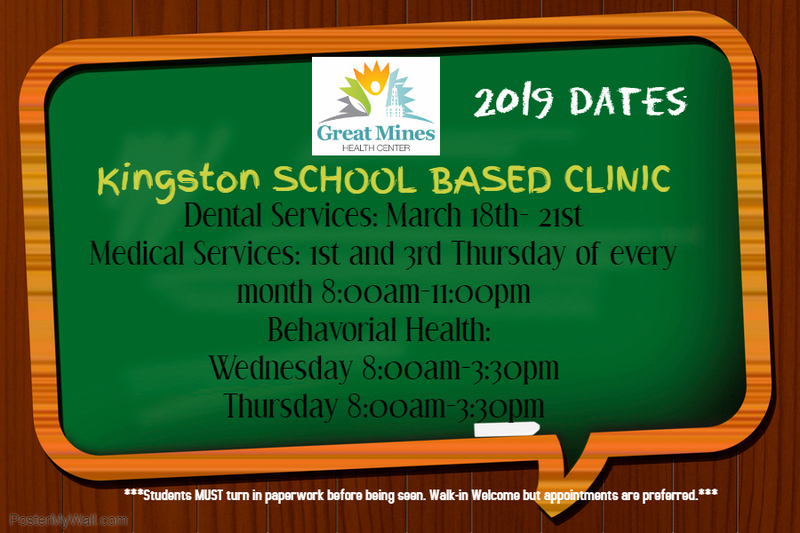 Great Mines is happy to accept new patients at this time. It’s simple and convenient for you! 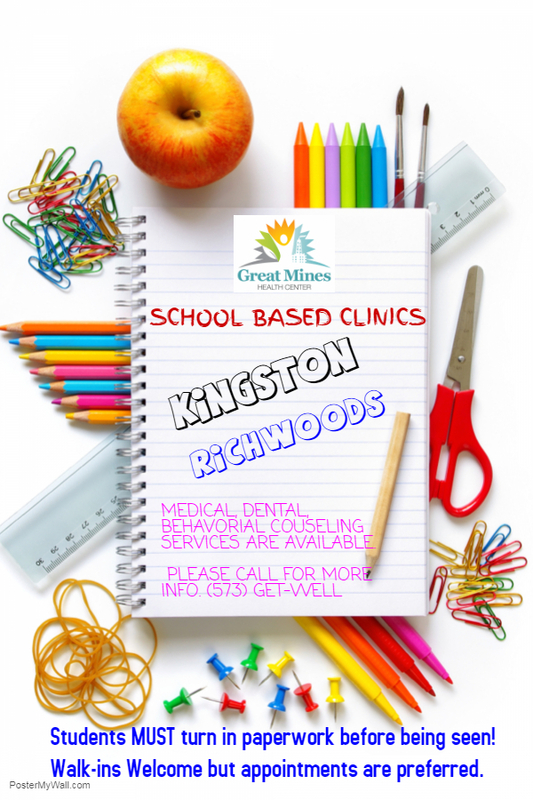 We now provide Medical Services, Dental Services & Behavioral Health Services located at Kingston & Richwoods School Districts! 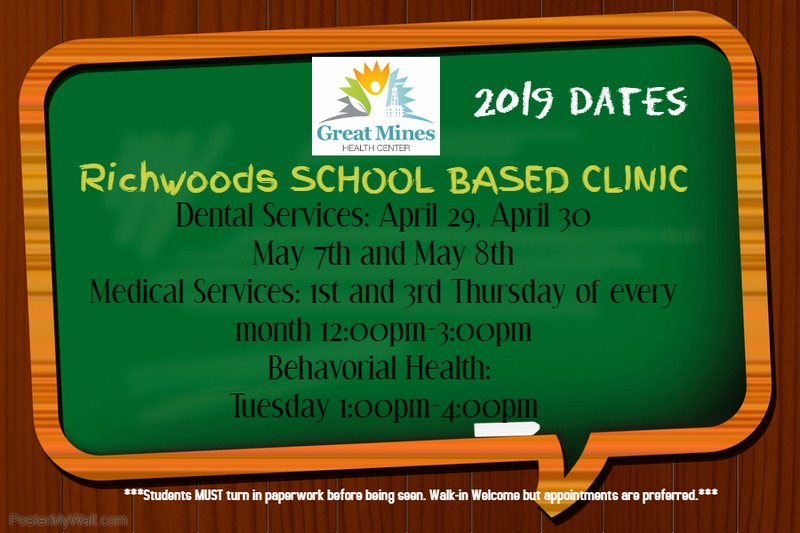 I had a dental issue and thought for sure I would need a root canal, but my dentist at Great Mines fixed my tooth perfectly, without the root canal! More importantly, when I was checking out of the dental department, I saw a woman who was seeking services for her young daughter. I could tell they didn’t have much, and I overheard the woman say, ‘All I have is twenty dollars’. What I found wonderful was the dental receptionist smiled and said, ‘That’s just fine’ and led the women and her daughter into the dental clinic. I think Great Mines is a fantastic place! To my wonderful doctor, his nurse, the receptionists, and all the GREAT people who make GREAT MINES as truly GREAT place to go-I say thank you!!! Those two words do not even begin to describe how truly blessed I feel to have such GREAT caregivers in my corner!!! Thanks you all for going beyond and over, to always provide such awesome service. I always feel respected and listened to at my appointments. Thank you for that!! I say AMEN that God led me to such an awesome and truly GREAT team, and once again, as the card says, ‘Thank you and then some!’ Keep up the GREAT work and God bless you all!